It’s always easier to tell where you’re going once you have a clear idea of where you’ve been. While it applies in many areas of life, that’s the basis of the energy audit we perform on commercial facilities: to see where the facility has been in terms of energy usage and efficiency in order to determine where it’s going, and how to improve that course. Essentially, an energy audit reviews past energy usage by the facility and compares it to expected energy usage if the building were fully optimized. The difference between the two becomes a list of actions the building owners can take to improve efficiency, lower energy usage, and control costs. There are a number of excellent reasons to have an HVAC energy optimization audit performed and many equally important reasons not to procrastinate or cut corners on that front. Here, we’ll take a brief look at the benefits of an energy audit. In some commercial buildings in and around Charlotte, especially if they’re older, routine maintenance schedules for key systems are stretched, forgotten, or ignored to the point that no one is completely sure how to measure the performance and expected lifespan of various components. While an energy audit is not designed to test individual components thoroughly (that’s part of a routine planned maintenance schedule), it will raise red flags on any areas of energy usage that are abnormally high or inefficient, which could indicate that maintenance is needed. Cutting operational costs and improving facility profitability are necessary goals for any building owner or facility manager. However, accomplishing those goals can be difficult without a list of action items that are going to make a noticeable difference. The most valuable tool that comes out of an energy audit is a list of specific recommendations for facility management to improve energy optimization and efficiency and lower costs. In addition, the audit report breaks down the approximate cost and potential savings associated with each action item. This breakdown becomes a prioritized “To-Do list” enabling building owners to attack the highest-yield improvements first so they can immediately see return on their investment. 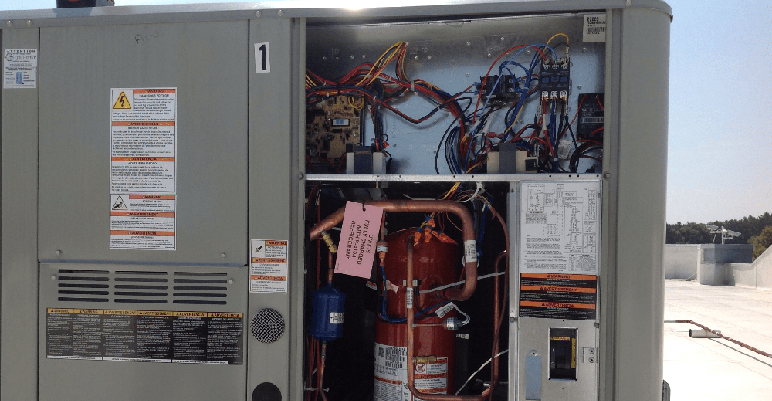 In many cases, the highest ROI comes from relatively simple and inexpensive equipment updates and adjustments to system controls as opposed to large-scale replacements requiring a high capital expenditure. Most companies in Charlotte today have some form of published acknowledgement regarding their responsibility to the environment and their efforts to do as little harm as possible as they go about their business activities. Performing an energy audit and following through on the resulting recommendations is a practical way a company can prove their commitment, and is more than just a smart PR move. As noted above, an energy audit is not designed to minutely inspect each component in a building’s systems. But, the overall resulting data can help identify areas where a system’s need for maintenance, repair, upgrade, or replacement could actually be a safety concern. For instance, if ventilation systems are working at such a low level of efficiency that it’s not just costing more than it should, but actually resulting in lower air quality, this adds an incentive to make the necessary improvements. And, of course, safer and more comfortable employees are more productive employees. Even if you’re not currently facing abnormally high utility costs or facility systems that are obviously in need of repair, it just makes good business sense to have an energy audit performed by a qualified Charlotte HVAC contractor at least once every few years. Since the audit is fairly inexpensive, the ROI for doing so is obvious. There’s always some room for improvement, and no viable business is going to ignore a smart investment. As noted above, an energy audit can result in lower operating costs, higher profit, lower environmental impact, and improved safety and productivity. There really is no downside.